Are your past emotions affecting you today? Could they be affecting you in unseen ways? Do you feel that you are struggling under the weight of something that you can’t quite identify? Do you wish that certain events in your past had never occurred? Do you feel that your present is being held hostage by your past? Would you like to be more effective in handling life’s issues and challenges? What if you could approach day-to-day issues with a different attitude? "I've been struggling with a full spectrum of lifelong issues, among them anger, fear, low self-esteem, a lack of self confidence, frustration and disappointment regarding my social life. Working with Bonnie I felt understood, perhaps for the first time. She helped clarify the issues and possible root causes, analyzing how they are connected to each other in addition to some of my physical complaints and conditions. Bonnie has an uncanny ability to zero in on what ails one, be it emotional, physical or spiritual. "As a result of her intuition, compassion and wisdom I was able to realize the negative patterns that had me stuck. While life is not perfect, I am now imbued with a new sense of balance and optimism, able to view things in their proper perspective. I'd highly recommend Bonnie as an excellent counselor, coach, and spiritual teacher." People sometimes sense they have emotional issues, but don’t know how to get past them. Emotional baggage usually consists of energies that were trapped during events in the past. 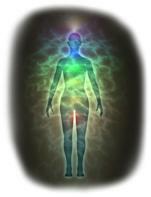 People are often amazed how easily these energies can be found and removed. They are often amazed by the difference they feel when they are freed from them. Trapped energy can affect you physically, mentally and emotionally. Harmful emotional energies from negative past events may cause illness, anxiety and self-sabotage. They seem to block people from love and happiness, and make them feel disconnected from others. Would you like to take your life back, enjoy better health, and finally be free from the insidious and subtle forces that trapped energy is exerting upon you? I help people release trapped energy and patterns, which results in a new sense of happiness, success and wellness. This type of release enhances the effects of all other healing modalities, both traditional and alternative. Your subconscious knows and remembers much more than your conscious mind. We can tap into that intelligence to release energies that no longer serve you. "When we've done everything we can and are still not be able to change the results, the wise thing to do is to seek help. Bonnie helps to reach a deeper level of the subconscious, and release the issues that we struggle to fix on our own." You can take advantage of a special offer, for a limited number of people. For a onetime cost of $75, I’ll do an introductory session for you, releasing trapped energy and patterns, and coaching you in practical ways to achieve REAL success in your life. The normal rate for one session is $97, and $270 when you prepay a series of 3 sessions. The sessions can be done via phone call, email, Skype or Google+. or $270 to prepay for 3 sessions. We’ll get started on the day you choose. You'll be given the choice to use a PayPal account or credit card.